I’ve had dinner guests beg for these recipes. 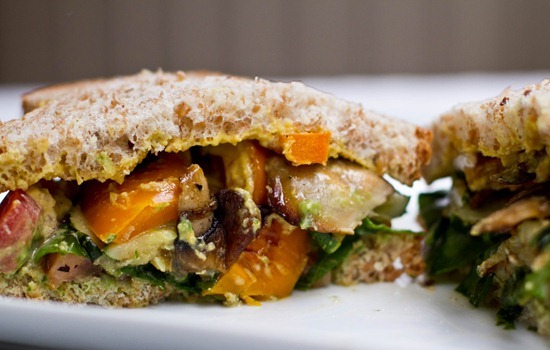 I’ve had vegan skeptics go weak in the knees over this cheeze spread on a sandwich. I’ve had nephews eat 4 bowls of Mac n cheeze in a row! I make these recipes again and again because they are quick, healthy, and I tend to have many of the ingredients on hand. However, I would make pesto much more often (weekly? daily? Each waking hour?) if I didn’t think I would consume a full cup of oil in the span of…4 minutes. I seriously can’t control myself around that stuff. Until olive oil becomes its own food group, I tend to reserve classic pesto for those special occasions. Not to mention, organic cold-pressed olive oil is priced like liquid gold! But, I’m impatient my friends. And let’s be real, special occasions don’t happen that often when you’re stuck in the country and your only nearby friend is your weirdo cat. Clearly, I need an everyday pesto. And navy beans in pesto. Before you think I’ve gone mad, hear me out. When navy beans are processed they add a lovely creamy and rich quality to recipes. I’ve used processed navy beans many times in recipes (like creamy soups!) and I’ve always been pleased with the result. I figured processed navy beans would provide this creamy quality to my pesto without missing the oil. Or so I hoped. My week off must have been good to me because this pesto surpassed my expectations. Either that, or my standards have just dropped. I can’t be certain. It called my name from the fridge, only this time, I didn’t have to fight it. This is far from a traditional tasting pesto, but it’s so delicious I couldn’t stop eating it! The navy beans replace the typical cup of oil in this pesto recipe, making it not only oil-free, but high in protein as well. 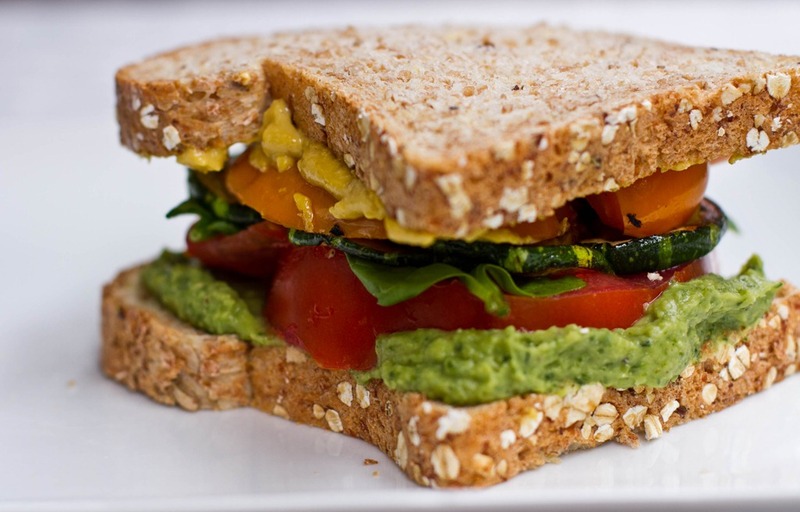 Nutritional yeast adds a cheezy taste while packing protein and B12. Enjoy this pesto spread on sandwiches, pasta, or even use for a dip for vegetables or chips. Spoon feeding encouraged. You can add olive oil to taste if you prefer! Directions: Add garlic clove to processor and process until finely chopped. Now add in the rest of the ingredients to taste and process until smooth, scraping down the bowl as necessary. Nutritional Info: (per 2 tbsp): 41 kcals, 0 grams fat, 3 grams protein, 3 grams fibre, 0 grams sugar, 7 grams carbs. I kid you not, this stuff is addicting. And HEALTHY! I spread it on bread, along with my favourite cheeze sauce on the other piece. I grilled tomatoes, peppers, mushrooms, zucchini, and spinach for layering. You can use this pesto as a sandwich spread, mixed into pasta, or as a dip for vegetables and crackers. Really, everything else is simply a vehicle for this pesto to get into your belly. Spoons work great too. While it’s not exactly like a traditional pesto, I just fell in love with it. Knowing that I was enjoying something naturally fat-free and high in protein made me eat eight times as much. Love that. 1. Green Monster Movement was mentioned in O Magazine in this September’s issue!! Whooo, rock on Green Monster fans! 2. I’m a little late to the party, but I finally figured out how to make an Oh She Glows Facebook Page. Click the image to be taken to the page. Basically, it’s me babbling on to myself…so in other words, totally lame fun. Stop over and say hi! 3. The winner of the Peas and Thank You Cookbook is Val! Congrats! I’ve contacted you this morning via email. Thanks to everyone who entered! I am definitely going to try this!! I’m always trying to get more protein and this is such a clever way of doing it! I am definitely using greenmonstermovement! Glad you are enjoying them Kristin! LOVE the idea of not using oil and upping the protein in pesto… LOVE pesto! 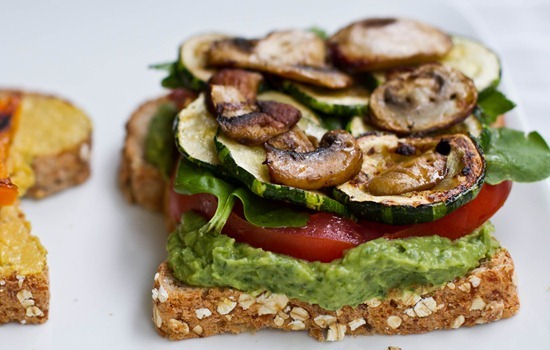 That is the most gorgeous veggie sandwich I’ve ever seen. The pesto is so creamy! This does look delicious! Love it. This is pure genius!!! I LOVE IT! You’ve created THE perfect pesto, dear Angela! Love it. 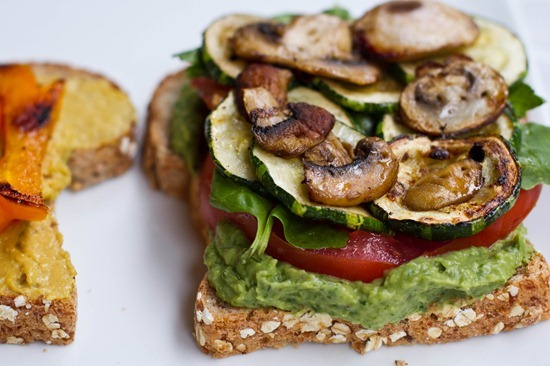 yummmm the pesto + sandwich looks divine! beautiful photography as usual angela. I love pesto but do not have it nearly often enough! Congrats on having GMM mentioned in O Magazine! Looks delicious! I want one of those sandwiches! YUM! That sandwich looks delicious! 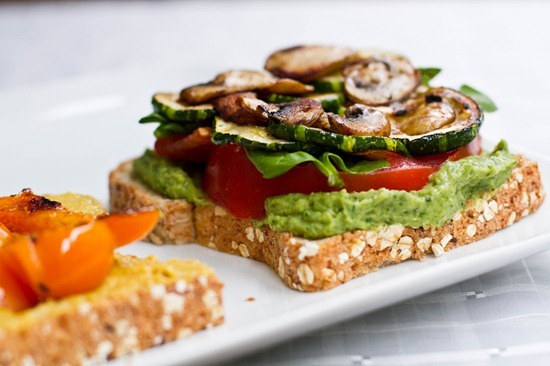 I love layering sauteed mushrooms on my sandwiches… I often use thick-cut strips of portabella, they add such a meaty texture! What a fun post; really well written. Did you know you were going to be in O magazine or was it a surprise? so now i’m stuck with this question for you: is 9am too early for pesto?! i got a huge bunch of basil with my csa last night and had pesto on the agenda for today – so i might just have to try out your white bean recipe in addition to the one i’m planning! wow, you have my mouth watering. looks fabulous!! Congrats on FB AND Oprah Ange!! That’s great news! And the pesto… oh my! I’ve been looking for an oil-free pesto for ages. I might have to strip my basil plant right down until it’s nekkid, but I’m bound and determined to make this! I can’t wait to make this!! Store bought pesto doesn’t hold a candle to homemade. That’s one thing I never ever buy in the store anymore! This version looks fantastic. I’ve made strawberry pesto before and it came out wonderfully also. I can’t wait to make this! 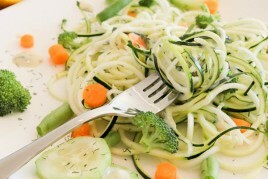 It’s so refreshing to see a pesto recipe made without oil that looks delicious and guilt free! I bet it would be fantastic on pizza! How funny – I was actually planning on making a pesto tonight – your recipe was just in time to save me a gob of oil! I may drop in just a drizzle, for satiety’s sake, but it’s awesome to know it doesn’t have to be completely loaded! Yes! I love navy beans — they can lighten up or protein-up or cream-texture-up almost anything :) Can’t wait to try this! 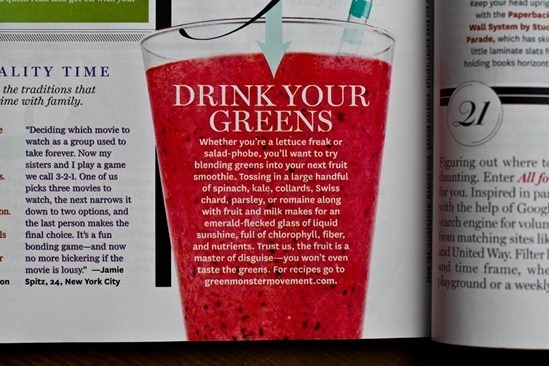 So exciting the Green Monster Movement was mentioned in O! Have you ever seen the movie “Fat, Sick and Nearly Dead?” I feel like you would enjoy it if you haven’t! No not yet but its on my list! Oh I love pesto but it’s so high in calories… this option looks phenomenal and would be a great pizza sauce… mmm. I have a hard time finding Nutritional Yeast that isn’t priced similarly to gold bullion! Can I omit the yeast in this recipe? My basil plant is going nuts and this sounds like an awesome way to use it up! You probably could, but it won’t have that cheese taste to it. Congratulations on being mentioned by OPRAH!! That’s incredible :D And that pesto looks incredible! 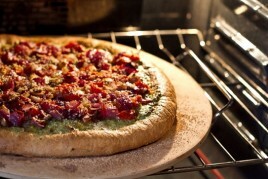 I made a pesto pizza back in the day and I think it needs to be revived now! Oh yum! This looks fabulous! I love pesto but don’t like that most recipes have tons of oil in them! That looks so good. You’re really creative, Angela. My mind just does not work like that in the kitchen. :) But I’m grateful yours does! Can’t wait to try this! Love the idea! I add navy beans to lots of recipes but hadn’t thought about adding it to pesto. Thanks! You are kidding me! This is such an amazing alternative to pesto. Really, this post has stolen my heart and run away with it on horseback. Into the night. What a great idea!! I can’t wait to try it. I love love love pesto and eat it by the spoonful! That veggie sandwich is just my style! Huge + messy! I have a bunch of cooked chickpeas + a flourishing basil plant…hmmmm :) Congrats on O Magazine! That is so so very exciting. Guilt Free Pesto ? Let’s just say, my basil plant will be bare naked this weekend!! Holy sandwich! That bad boy looks amazing…and I love the addition of beans to the mix! I WILL be making this this weekend. I need to also try some of your other recipes using the navy beans. Thank you SO MUCH!! I’ve made a similar dip and called in white bean hummus- I never thought to use it in place of pesto! I am also at a loss for self control around pesto… I bet this spread would be great as a pizza sauce too! WHOA. That sandwich. I drooled on my keyboard. I am being completely honest when I say that I think that is the most appealing sandwich I have EVER seen! It would be great on a pizza! This looks delicious and I will have to try it! The pesto recipe I use only uses 5 tbsp of oil so it’s actually not the bad, but I love that this is super healthy and has protein in it too! 5 tbsp is totally doable! I’ve made something very similar to this and you are totally right about the beans. They add a very nice texture to it. Great recipe! I am really regretting using my last can of cannelini beans in a hummus FAIL last week! I too love pesto, but rarely eat it because of the high fat content. Thank you for experimenting for me so that no more beans shall go to waste! this looks so good! what an awesome idea – the beans make it creamy like hummus! I was at the fresh Market the other day, and discovered that on weekends they have a giant bar of salsas, hummuses, pestos and dips set up. Buy by the pound. I practically had to run away – even though I love making my own, there is nothing like instant gratification! THIS LOOKS FANTASTIC! I am a pesto addict already but this recipe sounds amazing! I loove the extra protein!!! I love this idea and I can’t wait to try it!!! I have a TON of basil and I have been wondering what I was going to do with all of it since I have been eatting healthy and cutting WAY back on fats and oils! I am so excited to hopefully be able to use up some of my basil! I can’t get over how outstanding your photos are!! Navy beans in pesto?! YUM! What a fantastic looking pesto! I love how you are able to sneak beans (and take OUT the oil yahoo!) into everything! I’m thinking I need to make some this pesto to add to a grilled meditteranean veggie salad I was planning to make tonight! This looks delicious! 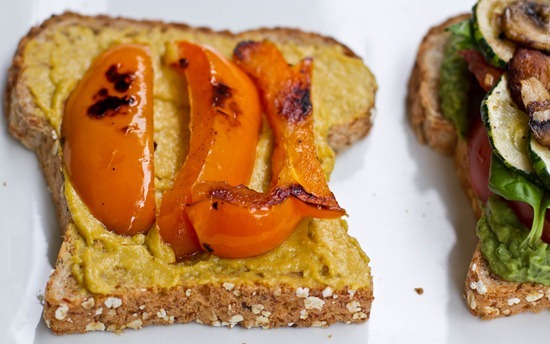 I’m always looking for ways to jazz up my sandwiches and this pesto is perfect. Last night I was making black bean burgers and when I tasted the mix it was delicious so my next kitchen experiment will be a spicy black bean dip. Also I really liked the color composition you did with the green basil popping and everything else in grey – very cool. Very Interesting recipe! It’s like a basil-y bean dip, I bet it would be delicious spread over little crostinis and topped with sliced cherry tomatoes. I have a whole lotta basil to deal with this summer and I can only take so much traditional pesto (it leaves me with a weighted down feeling, probably from the oil) so this recipe is going on my “to make” list. Thanks! Very cool that you have a facebook page now for the blog! Oh and so cool that you were mentioned in Oprah magazine. I gotta have my green smoothies!! The pesto looks really delicious. Sort of like a mix between a hummus and a pesto. Either way, delicious! Those mushrooms look so perfect. It looks like I could just pull them off of the screen and eat them. BRILLIANT ! I am definitely going to try this… I see pesto pizza in my future! So wow. This might be my favorite post ever so much fantastic stuff! I’m a huge pesto lover but it always makes me feel guilty so I can’t wait to try this. I kind of want to make a bathtub full to roll aroud in it. I have a facebook problem, I can’t wait to go like your page. I love this idea! I’m so going to bookmark it and give it a whirl! During exams I practically live off pasta pesto as its so easy and quick, but lacking in protein, this looks like the perfect solution! Do you know how long it would be ok to store this in the fridge and if it would be ok to freeze? I’m not certain about storage as its the first time I made it. And umm, we ate it in 2 days time. lol. Pesto is so delish, but I rarely have it cause of all the oil and expense. Great alternative! Woooh! Green monsters mentioned in oprah, congrats. I’ve been considering concocting a pizza with a pesto sauce rather than tomato sauce. Do you think this pesto spread would hold up well in that capacity? I might have to try it, I’m intrigued to see if it would be any good! It was one of the best pizzas Ive ever had! OMG that looks so good. I am a 1 month old vegetarian and have not been craving meat at all…with recipes like this, who would? Thank you. Amazing photos as always. Must invest in a food processor. This looks amazing! Really want to try your new burger recipe soon too! OMG yes yes yes yes yes! I am obsessed with pesto but rarely eat it since it is so high in fat/calories and I can never eat an appropriate serving size. This rules! I cannot wait to try this recipe. Any chance you’d like to do the same makeover for cheese sauce??? :) FIngers crossed! Ya, ya navy beans are ridiculously creamy! I mash them up with all sorts of things, but I’ve never called it pesto. Geez, you’re good. You can also make a type of “mayo” out of them with lemon juice, salt, pepper, and a bit of brewers yeast. So good. That sounds great! Ive been looking for a tofu free mayo recipe. This is a wicked good idea! Pack in that protein! Yum. Seriously beautifully plated AND the recipe itself..nothing like eating dips and spreads that are made with (too much) oil and you get that oil slick feeling on your lips…yeah…not exactly my fave. This pesto clearly won’t do that and it sounds amazing. Love nooch! THANK YOU! I have a basil plant going crazy and been meaning to hunt for a recipe that doesn’t include pine nuts. To me they are okay but there has to be a better recipe. I’m sure this will be outstanding and just the pictures of the sandwich makes me drool! YUM! Healthy food is so nice to look at AND eat. That sandwich looks unbelievable! I think i’d love that pesto. I love the idea of nutritional yeast in pesto, that’s such a good substitute for the parmesan cheese, can’t believe I haven’t thought of that! I tend to make my pesto light on the olive oil anyway so it’s not as liquidy but I love using beans in it too. Definitely a twist worth trying! Have I mentioned that your food always looks way to delicious? I wish you had a cafe, I would def fly all the way to Canada for that! You can send that sandwich to me please. Looks delicious! I’m always down with a pesto I can eat every day. A lot. Mmmm.. That sandwich itself looks so delish. Wow, that pesto looks awesome. I love pesto too and could eat it all day, thanks for this recipe! congrats on green monster being in the mag! thats awesome! You introduced me to the “movement” and my body is thankful! umm and your pesto…lovely! I just picked up a large bag of basil at the farmer’s market this morning. Thanks to you, I will be sure to put it to good use! This is nothing short of awesome! Good on you for getting a FB page! I’m ALMOST there, lol…soon! Wow – yummmm!!!! I have everything but the white beans. Do you think garbanzos would work? Going to eat my pesto sandwich mid-flight now!!! Perfect timing for this post, because the BF and I are going to make pesto with garbanzo beans this weekend with all the basil we have from our pots. 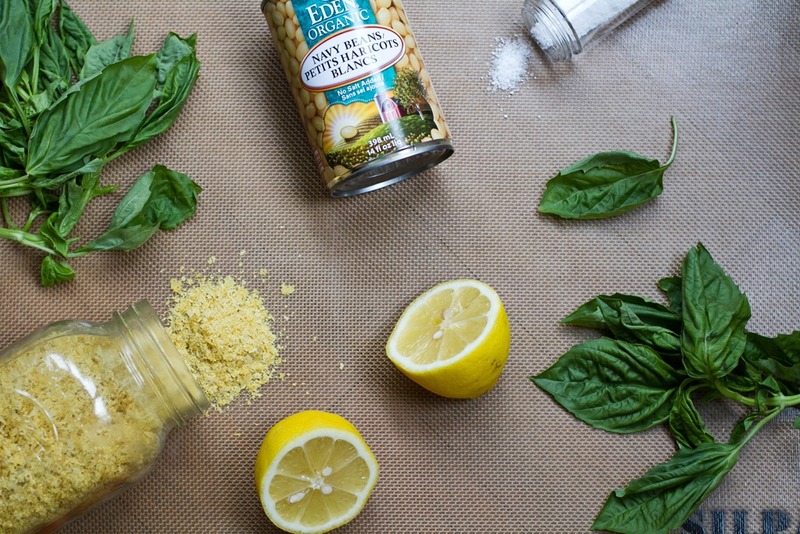 I never thought of using nutritional yeast…what a great idea for a sub for the parm cheese! Genius! I LOVE pesto! I frequently make my own, but you’re right, it’s so full of oil! Plus real Parmesan isn’t veg-friendly. I must try your version — I wasn’t expecting the navy beans but I imagine (and trust you when you say) they work quite well! Yum and its oil free! I’m sold! Oh, I’m sooo lucky to have won the book giveaway. Thank you Angela (and Sarah). I plan to make the pesto recipe this weekend, using beans instead of oil is genius. Wow that pesto looks sooo good seriously if i make this, i mean WHEN i make this :) i think i will just eat it with a spoon! HEy how do you make it so the pics are black and white with just the green basil leaves, is it done in photoshop?? I gotta give this a try. I’ve made a similar recipe with a couple of avacodoes instead of the beans, but, it gets costly. Thought I would tell you that I made this today and it is awesome! Had it on a sandwich earlier and will mix it with pasta tonight for dinner. Thanks! Hi Mara! Thank you so much for the amazing compliments! Im so lucky to have your support. I hope you enjoy many more recipes to come! This was amazing! One of my favorite recipes of yours! Such an affordable, high-protein meal in disguise. My boyfriend (who is not a bean lover) had no idea I put beans in it until we finished eating and i broke the news. So happy to hear that Emily! Congrats on the mention in O magazine! That is HUGE!!! 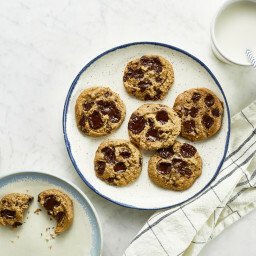 This looks really tasty, I’m defintely going to make it. And well done on the magazine mention, that’s brilliant! Just made this…I’m in love! I hate cheesy + oily pestos so this was perfect! I will give it a try. Just made this and it’s DEEEEEEE-Lish!!! I found that 2 Tbsp. 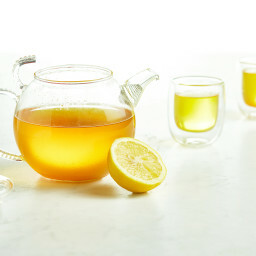 of lemon juice was PLENTY for my taste. Until now, my hummus-type dips have all be sub-par, but this is my first true success! Merci! Do you drain the can of beans? I’m a newbie cook, and need major details. I looooove this! Quick question, how long does this keep in the fridge? I made my this Monday and ate my last serving on Thursday. It was still good then but I don’t think I would have let it go any longer. No worries though, you won’t have it sticking around too long! This is a great low-fat alternative to pesto! 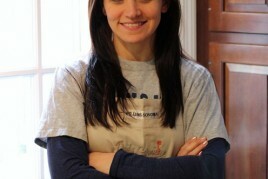 I really enjoy reading your blog- your recipes are so creative and delicious! 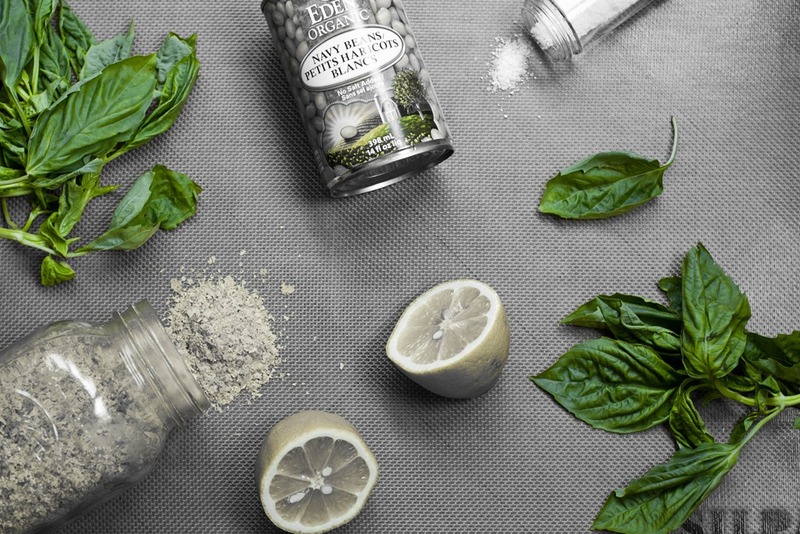 This white bean pesto is great! I kind of want to eat this for every meal for the foreseeable future. It is the perfect complement to summer tomatoes. I had a wrap for lunch and now I’m dreaming of having a pita pizza with the pesto and tomatoes. Thanks for the the recipe, it’s a keeper! This was pretty good! I omitted the nutritional yeast (didn’t have any) and next time I will definitely reduce the amount of lemon juice to 1 tbsp and maybe try no salt at first (gradually will add in). But a good recipe for sure! 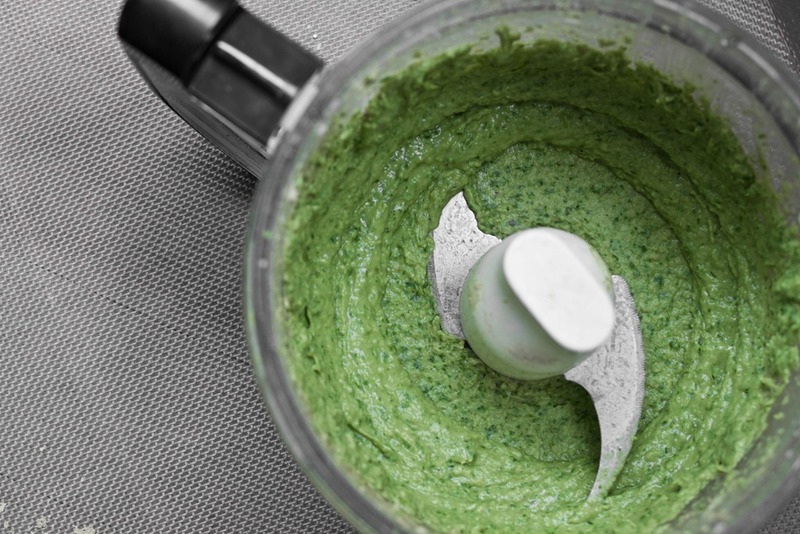 made this pesto to have with rosemary white bean burgers….. delicious! gonna use the leftovers with pasta! yum! this was so good- i love pesto soooo so much and its got so many calories so i appreciate this recipe so much! i also made up my own from this instead of basil, did cilantro and added a serrano chile,…. it’s so addicting, i’ve ate it everyday -put it on what i could- today i am going to make your basil cream sauce, and i’m really excited about it! thanks so much again! Oh my gosh, this was amazing! I’m trying to talk sweetly to my basil plants to produce more leaves so I can have it again soon. Even with subbing a bit of oil for the water the calorie and fat count let me have a huge plate. Yum! this was incredible! unfortunately i couldn’t stop eating it! the more basil, the better! No salt added” and without really thinking about it, I added a half tsp., so it’s too salty. Also, I added some pine nuts just because I like the taste and was hoping to dull the saltiness somewhat. did you drain and rinse the navy beans? Hey Sally, Yes I did. Enjoy! Thank you for such a simple and wonderful pesto replacement recipe! Trying this today. Do you drain/rinse the beans before adding them in? I think I do not need a spoon – I’ll simply lick it directly out of the food processor…NOTE TO MYSELF: remove the blades first! Have you ever tried freezing this recipe? Im sorry I haven’t! let me know if you try it out. This looks fabulous and my basil plant is getting ready to die in this chilly weather! How do you store this? I was going to make it now but use it later. Also have you tried freezing it? Thanks! This is so freaking good I could eat it on cardboard!!!!! TY!!! Delicious! Absolutely wonderful, thank you! I used it in a grilled tomato and Daiya Mozzarella cheese sandwich…yum! I wonder if adding some nuts during the process would give it a good texture- I’ll try that next time. I love this recipe! I was searching for a pesto recipe because I had a ton of leftover basil and yours was perfect. I love that it doesn’t have nuts it in or all of the oil that is usually in pesto. It’s so creamy. I just made a pesto, daiya (mozz), and chickpea quesadilla with it and it was amazing! Absolutely love this. 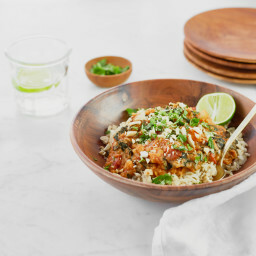 This is the first recipe I’ve tried from Oh She Glows and I think I found my favorite new site! Delicious, creamy, versatile. Can use it as a spread, on pasta, I even used it as a base for a pizza (instead of pizza sauce). Thank you SO much – what a creative way to replace the oil. Thank you Thank you! Hey Courtney, Im so glad you enjoyed it! Thanks for letting me know…great idea about a pizza base! I just made this and it was delicious. Mine wasn’t very green so I added a handful of spinach and it became my new favorite pesto!! Thanks for this recipe :) I will probably be freezing some in ice cube trays (perfect 2 tbsp portion) so I will let you know how they thaw out! You’re right, spoons away! I think there was about a 3 second lapse from the time the pesto was poured into the jar to the point where the spoon broke the surface. (3 seconds is being verrrrry generous). Just found u today, but I’ll be back! Made this and it was great! Can’t wait to dig through the archives for more yummies!!! I have been looking for an oil free pesto recipe for a long time. I came across yours last night, made the pesto this afternoon and it was SOOOOOOO DELISH!!!! I literally had to stop myself from eating it directly from the blender. Thanks for the recipe – AMAZING!!! This was so yummy! I added 2 T of olive oil and tossed it with pasta, summer squash, heirloom tomatoes, and spinach. So creamy! My hubby Eric and I decided it needs to be put on the repeat-worthy list! Just made the no oil pesto. WOW I really love this stuff. I use it as a dip, on my salads , as a spread well just about everything so good Love your recipes Thanks for another great one !! What if I don’t have any nutritional yeast??? You might be able to leave it out, although the flavour won’t be as cheesy. 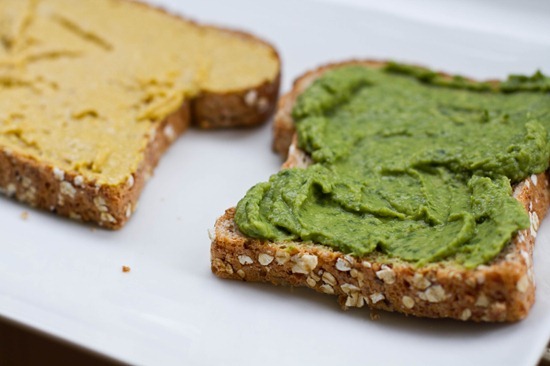 if you do remove it, I suggest decreasing the lemon juice a bit as the nutritional yeast often subdues the acidity. This recipe is great! Thank you for sharing. So glad you enjoyed it Stephanie! This recipe is so creative and it worked out perfectly for me! I’d never thought to include beans in pesto before. My for dinner last night I made a quinoa and veggie salad and my family and I dolloped the pesto on top. Oh my yum. We loved it so much that we’re having the leftover pesto on some whole wheat pasta tonight! I am soooo making this, and that sandwich looks fabulous! I use cilantro in place of basil to up the metal detox so this should be interesting. Thank you! just made it with Kale and it is yum! I am eating now with peppers and onions on it open faced… Perfect brunch food! Just made it, YYYYYUUUUUMMMMM!! I didn’t have nutritional yeast which I’m sure would make it even better. Tried this recipe today and it’s WONDERFUL! Thank you so much for an oil-free pesto. I can hardly wait to boil up my brown rice pasta and use this as the sauce! Can you substitute cannellini beans for the navy beans? I found this recipe right after I discovered all my basil had succumbed to last night’s frost. Oil free! Thanks a bunch! I was really excited about this recipe because pesto can get SO oily, but cutting out the oil out can make the pesto super dry. I think this recipe was fine, but for some reason the consistency was not as wet. I did not use any nutritional yeast though. I would also probably sub out the lemon next time because I felt like it gave the pesto an odd flavor. Love the photography on here! How long can you keep in for? How long does this last if you store it? I want to make it but won’t be eating that much everyday…Do I refrigerate it? and how long does it usually keep for? Should you drain the beans before putting them in the food processor? I haven’t made this yet. Should I assume that the beans should be drained? rinsed? Looks good but I don’t want to waste anything by messing up! Have any recommendations for one that you like. can you freeze this in ice cube trays? I froze a small leftover amount in a container and it was just as delicious when it defrosted! Couldn’t tell the difference! Should the beans be drained and rinsed? My friends and I had a pesto party and made about 7 different, unique recipes for pesto, ranging from the traditional to vegan and oil free recipes like yours. Your recipe was definitely one of our favorites! Amazing, but the beans really lent a rich flavor and great texture!! Hi Angela! How long can this pesto be stored for? I just got a HUGE bunch of organic basil in my fruit and veg delivery and don’t want to waste it! Hi Angela :). I tried this recipe for the first time today and it is absolutely gorgeous! I can’t get over it how much it tastes like having a cheese and pine-nut base. This recipe is definitely a keeper. We had it with wholewheat pasta tonight. The rest of it will be added to the family’s sandwiches. Hi, Thank you so much! You are amazing! The best. I would bathe myself in pesto if I could. And now that I am pursuing an oil-free life, I am grateful for this recipe. Byw, I occasionally gaze wantonly at the pesto when I’m grocery shopping, pick up a tub, gaze at the nutritional content and see a usual average of 18 grams of fat and 700 mgs of sodium per serving with like 12 servings a container and a serving being like a tbs or two and I’m like “Oh hello nah, I’m making my own damn pesto that I won’t feel like a hippopotamus for eating a cups worth, FFS! >=O” I love love loveeeee the taste of fresh herbs, especially basil, dill, and cilantro so I don’t even think I want to “only eat a spoonful”, I can and will eat a cilantro or basil salad if I can find enough herbs at steal price ,(which isn’t often and I grow my own but I could easily kill a few basil plants in a meal if I didn’t watch myself T_T). And why should you have to limit yourself if it’s purely healthy like when you make it from scratch! Also avocado could replace the beans. Love, love, love this pesto! I’m still wrapping my head around the fact that it’s healthy! Thank you for the recipe. I love your cookbook and look forward to the next one. I just made this basil deliciousness and it’s awesome! There is ZERO need for oil in pesto with this great recipe. So glad you like it, Jessica! This was great. Only change – I wish I had blended the basil first before adding the beans because yours is a nice green sauce, while mine is a white paste with flecks of green. I mixed it with whole wheat rotini, more white beans, and chopped fresh tomato. Also good with peas or artichoke hearts mixed in. I added a drizzle of extra water and olive oil to make it saucier – and when reheated, added a tiny bit more of both. Will make again. Hi. Do the beans need to be rinsed and drained? How long does it last in the refrigerator? Thank you for this! I did want a traditional taste, so I used a lot more basil, less beans, and pine nuts. But I’ve been cutting out oil from my cooking and wasn’t sure how I was going to make pesto. This is wonderful! 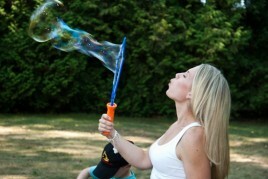 I am making this today!!! How long do you think this would keep in the fridge if I have extra? 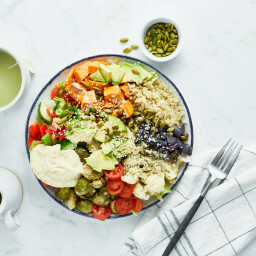 Thank you for your amazing recipes — I am trying to be more and more plant based and your site is making it fun and delicious! A friend just recommended your blog (in particular, your bean burger recipe) a few days ago and I couldn’t remember the name of it by the time I got home. Then I googled “oil free pesto recipe” and up it popped! We just had this pesto on grilled veggie sandwiches and it was DELICIOUS!! We love pesto in this house, but don’t stray too far off the traditional pesto path because it has never gone over well. HOWEVER!!! This stuff is amazing! I thought the beans would make it taste “beany” but it didn’t at all! Just smooth and creamy. I did add double the nutritional yeast and onion salt instead of garlic and salt because it’s what I had on hand. Well done! I’ll be back for more! Love it!! I didn’t have white beans, so I just used red kidney beans, instead. The colour was different, of course, but the flavor is amazing!! I’d love the recipe for the cheeze spread, but the link doesn’t lead anywhere. is that fixable? PS: I’m obsessed with this pesto. Thank you! I’m so sorry about those links not working. It was linking to an old recipe database (recipage) that we no longer use. I’ll talk to Eric about where those recipes are now. It’s been a while! In the meantime, I highly recommend my all-purpose cheese sauce: https://ohsheglows.com/2017/11/08/all-purpose-vegan-cheese-sauce/ It’s my fave! So it’s kind of like a mayo consistency? Other than the sandwhich (which looks delish!) how else do you use these spreads?